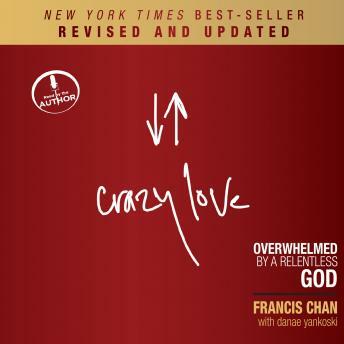 Crazy, relentless, all-powerful love. Revised and updated edition of the best-seller, now with a new preface and a bonus chapter. Have you ever wondered if we’re missing it? It’s crazy, if you think about it. The God of the universe — the Creator of nitrogen and pine needles, galaxies and E-minor — loves us with a radical, unconditional, self-sacrificing love. And what is our typical response? We go to church, sing songs, and try not to cuss. Whether you’ve verbalized it yet or not… we all know something’s wrong. Does something deep inside your heart long to break free from the status quo? Are you hungry for an authentic faith that addresses the problems of our world with tangible, even radical, solutions? God is calling you to a passionate love relationship with Himself. Because the answer to religious complacency isn’t working harder at a list of do’s and don’ts — it’s falling in love with God. And once you encounter His love, as Francis describes it, you will never be the same. Because when you’re wildly in love with someone, it changes everything. A great book that makes you stop and think about what your next career steps are and where God is leading you! This was a great book especially because I'm considering making a transition in life. This made me really consider some things and evaluate my intentions. Wow what an amazing and powerful book This will really open your eyes! Great book I did really enjoy it the narration not so much.